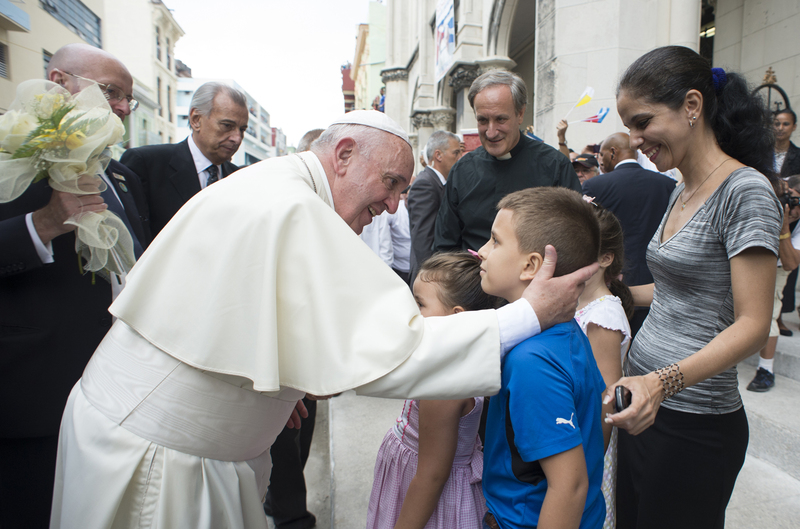 In the moments before departing from Rome for his 15th Apostolic Visit abroad to the nation of Poland, July 27-31, for the occasion of World Youth Day, Pope Francis was greeted by 15 young refugees, reports the Office of Papal Charities. According to a statement released by the Holy See Press Office, at about 1:30 p.m., Francis met the nine young men and six girls of different nationalities, most of whom are still without their documents. The young people wished the Pope a safe journey and a joyous participation in World Youth Day. Though they are not going to the global event, they said they are spiritually united. After this afternoon’s encounter, Pope Francis, his papal entourage, and journalists boarded the Alitalia plane at Rome’s Fiumicino Airport. While on the flight, Francis sent telegrams to the Heads of States of the countries his plane flew over, in accordance with tradition.